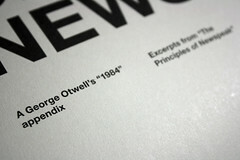 At the conclusion of 1984, George Orwell devoted 12 pages to the principles of Newspeak, a language and a vocabulary designed to prevent thoughts considered dangerous by the regime of Big Brother. If there were no words to express a thought, then the masses could not hold those thoughts. Orwell predicted that full implementation of Newspeak would occur by 2050. We will reach the halfway point between 1984 and 2050 in just four years, in 2017. The Republican Party has their own version of Newspeak which I call GOPspeak. The first instance of GOPspeak that I can remember specifically was Richard Nixon’s “I am not a crook” speech. 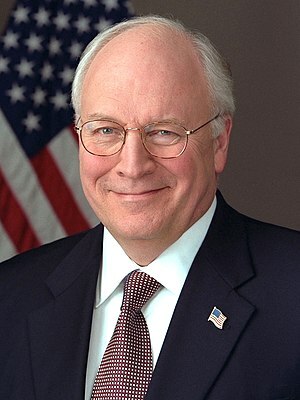 Of course, he was a crook and worse and was forced to resign not long after his vice-president, Spiro Agnew, was forced to resign for similar reasons. First time in our history that occurred. On a lighter note, there was Christine O’Donnell‘s “I am not a witch” speech in 2010. That charge was never conclusively proved or disproved. In colonial times, suspected witches were subjected to a form of water torture by being tied to a dunking stool and then submerged in a pool of water. That practice was cruel and fell out of favor. Now we use the more humane form of water torture called water-boarding. The 2012 Mitt Romney campaign lied 24/7 claiming that it would not be limited by facts. And Mitt still doesn’t understand why he lost. The only thing that you can be sure of when a Republican uses GOPspeak is that he/she means the opposite of what those words meant until recently. Eventually, if the voters and the media allow GOPspeak to continue, then GOPspeak may become Newspeak in fact. That is a result we must work to prevent if we wish to preserve democracy in the US.